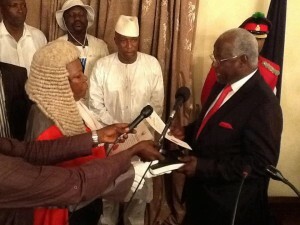 HomeNews in PerspectiveIs the government of Sierra Leone ready to open itself to real scrutiny? In 2011 president Koroma promised to open up his government to real scrutiny through a national website, that will provide access to information about the work of each government department and agency, especially their budgets – spending and programme delivery performance. But four years on, this promise is yet to materialise. The need for a national transparency website was loudly articulated at a conference held in 2011 by civil society groups and concerned Sierra Leoneans, who believe that the lack of accountability, openness and transparency in government departments, has created a fertile ground for the propagation of corruption and poor performance. In response to the recommendation by the national conference, president Koroma promised to establish a national website that will show the public, how government is spending money, what the money is being spent on, and how well departments are performing. It is estimated that close to $200 million of the $400 million received by the government in foreign aid, is either misappropriated or disappear from the consolidated fund every year. The knock-on effect of this serious leakage on the country’s development and delivery of basic services – such as health care, education and poverty alleviation, has left millions of Sierra Leoneans in abject poverty. Hence, the intention of well-meaning Sierra Leoneans was that the proposed national website, would act as a vehicle for delivering the practical provisions, contained in the Freedom of Information Act, that was legislated two years ago. Is the new Portal reported to have been launched last Friday by the Koroma government, of any substance? Many in Sierra Leone were hoping that the national transparency website proposed in 2011, would for example; show the names of all public officials and ministers that have declared their assets on an annual basis. But more importantly, that details of all declared assets could be verified by any citizen of Sierra Leone, through a freedom of information (FOI) request received by an appointed National Commissioner for Information. Sadly, though not surprisingly, none of these ideas has come to fruition, like so many well intended promises made by the government since 2007. According to report from State House, the country’s newly appointed vice president Victor Bockarie Foh, last Friday, launched an initiative referred to by the government as a National Open Data Portal. Is this just another pipe-dream from State House? If not, then one has to ask: Where is the Portal and what is the domain address? Is this nothing other than a sound bite from State House, aimed at collecting more funds from the World Bank for another unfulfilled ambition? 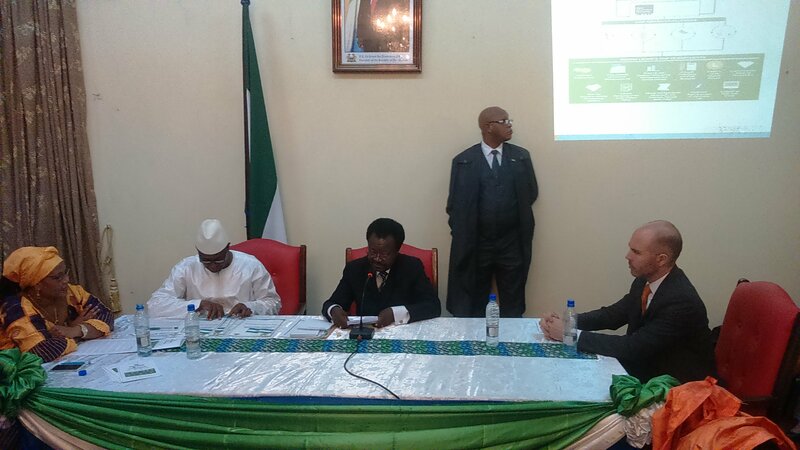 Deputising for president Ernest Bai Koroma, Vice President Victor Bockarie Foh on Friday, 15th May, launched the National Open Data Portal at the Credentials Hall, State House, Freetown. Speaking at the event, vice president Foh said that the launch of the Open Data Portal today, was a milestone and a continuation of government’s zeal for openness and transparency. “In our modern world, communications through electronic media is becoming a major way of ensuring transparency; more information could be transmitted via electronic means, and this Portal will utilize this new means of communication to reach out to many more people,” vice president Foh said. Few countries in Africa, the Vice President said, have freer spaces for discussions on most topics than Sierra Leone. 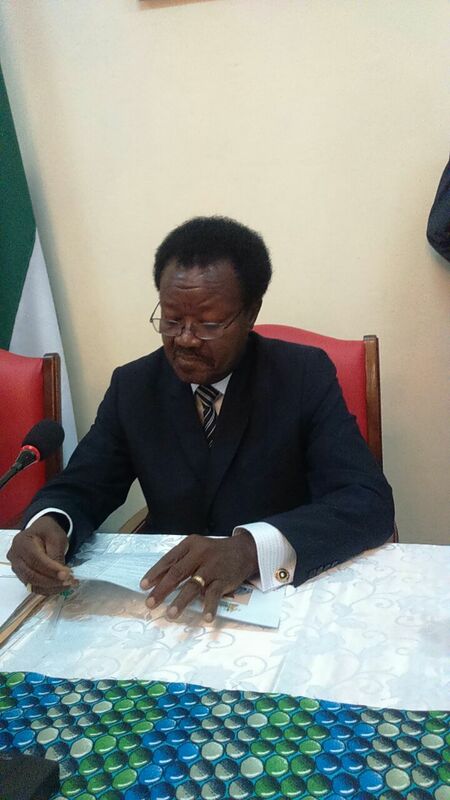 From radio discussions to television, to newspapers to the social media, Sierra Leoneans, he said, are increasingly engaged in discussing matters of relevance to the country. Speaking on governance, the vice president said that the country is today a forerunner in open governance in Africa, as Sierra Leone is among the first to transform a government’s broadcasting service into an arm’s length public broadcasting corporation; and, in the process greatly increase the diversity of views on television and radio. It is because of these credentials, he said, that we are today prominent partners of the Open Government Partnership in its global drive to ensure free flow of information between government and the people. The Vice President applauded the World Bank for what he called an “affirmation of faith in our transparency efforts”, whilst also applauding the Steering Committee of the OGP which had been tasked with drawing up a National Action Plan that would serve as a blueprint for OGP engagement in Sierra Leone. According to Vice President Foh, the first and eleventh of such commitments is the signing of a Public Integrity Pact with five ministries, departments and agencies, and the establishment of an Open Data Portal. “We are here to bring to life these two commitments in the National Action Plan,” Foh said. The Open Data Portal, Vice President Foh said, is a national Registry for providing comprehensive information on the affairs of government. It will give Sierra Leoneans opportunities for leveraging diverse information on government for comments, suggestions and questions. The Open Government Initiative, he said will work closely with ministries and other departments and agencies to maintain the Portal by introducing more datasets reflecting the diversity of our country. Climaxing the event was the signing of an Integrity Pact with five pilot MDAs in a bid to improve public trust in public service delivery, and ensure effective accountability of public officials. The Public Integrity Pact will serve as the first step towards creating a Public Integrity Policy that will serve as a safeguard measure for improving timely access to public services. The pact will promote ethical and proactive performance by public officials in the discharge of their duties. 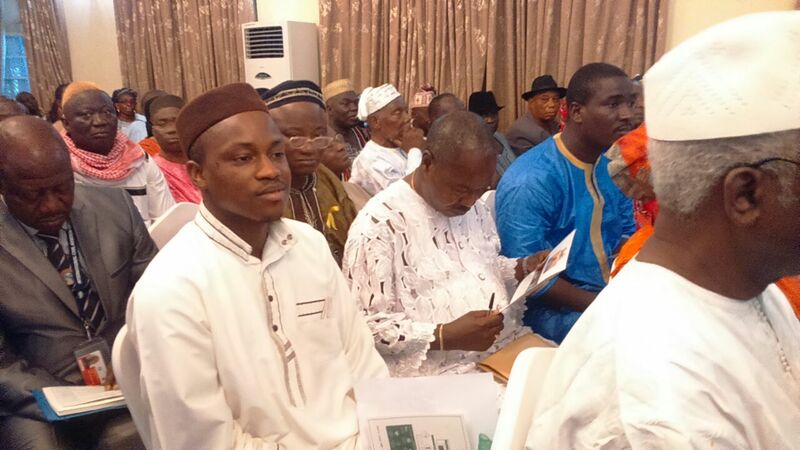 The event was chaired by the minister of information and communications – Alhaji Alpha Kanu, who underscored government’s commitments to ensuring an open and accountable government. The event was attended by government ministers, civil society groups, local councils, paramount chiefs, development partners and the media.